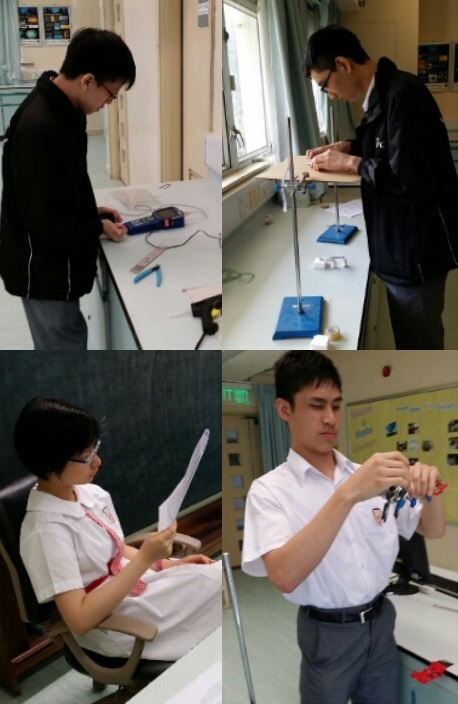 (4J) Hau Pak Chuen, (4J) Ho Long Fung Marcus, (4J) Ma Tsz Kiu, and (4J) Shi Pok Lai were awarded the 2nd Runner Up in the Space Science Experiment Design Competition for Hong Kong Secondary School Students. The topic of our school’s project is “Chaotic or Predictable? Oscillation of a Double Pendulum Under Weightlessness Condition”. 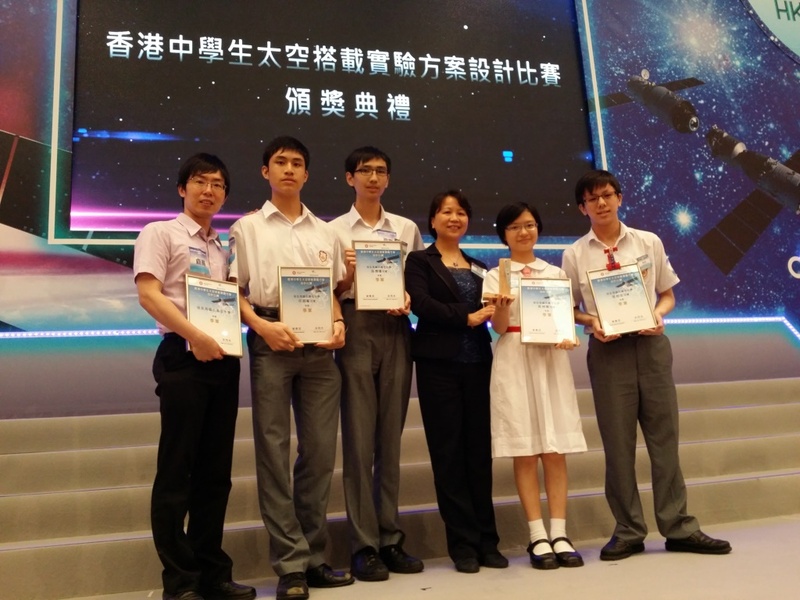 The Space Science Experiment Design Competition for Hong Kong Secondary School Students was jointly organized by the Home Affairs Bureau of the Hong Kong Special Administrative Region Government and China Manned Space Agency. 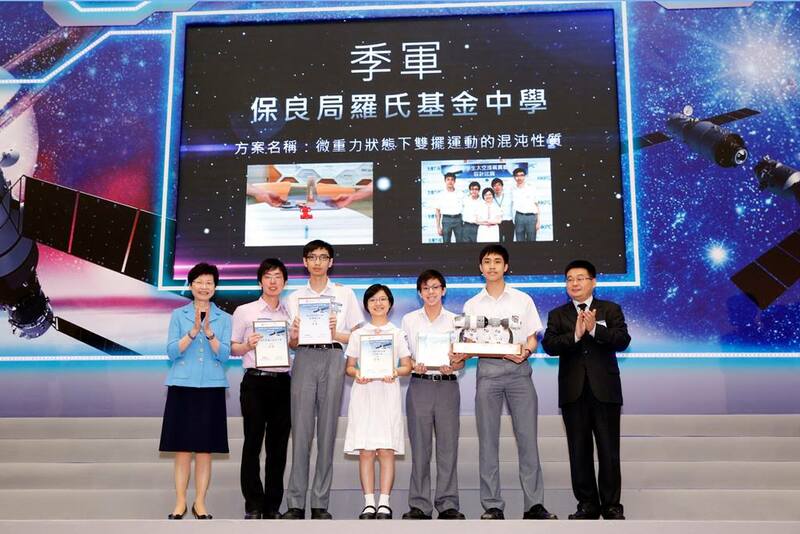 The competition aims to enhance local secondary students’ understanding of China’s advances in aerospace science and foster a culture of innovation in Hong Kong. 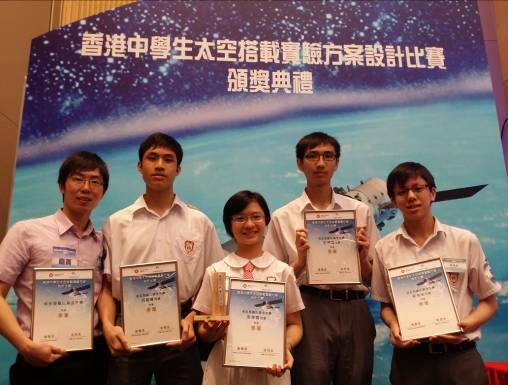 It was launched in October 2014, the competition encouraged secondary students across the territory to design experiments that are feasible for being conducted in space. A total of 70 entries were received from 286 students in 47 secondary schools. Ms. HUANG Wei-fen(first left of the front), Deputy Chief Designer, Astronaut Center of China, was providing valuable guidance on the students’ experiment model. After technical guidance, students were modifying the model and writing the final report for the assessment interview. Ms. HUANG Wei-fen(centre), Deputy Chief Designer, Astronaut Center of China, and our students. 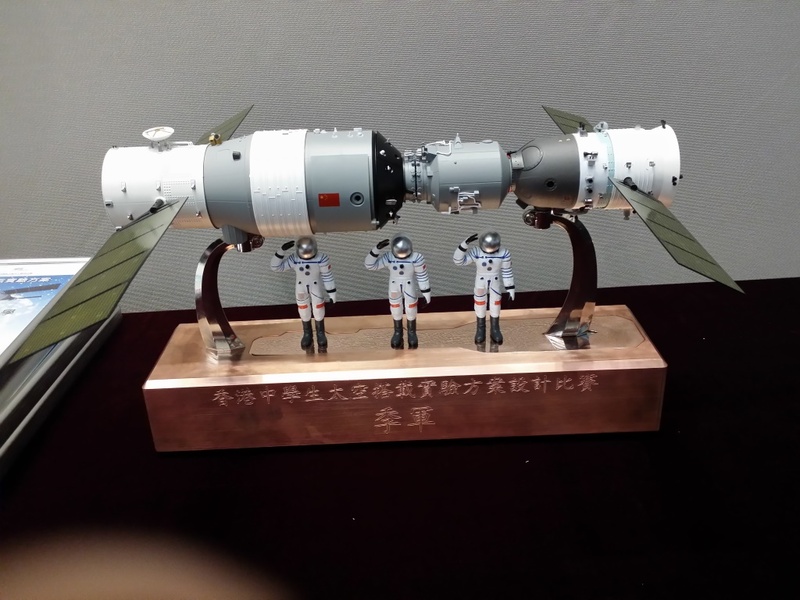 On 15th September 2016, the China Space Laboratory, Tiangong-2(天宮二號)was launched. It can support astronauts to stay 30 days in space and conduct more than 40 space experiments, including the three winning space-science projects from Space Science Experiment Design Competition for Hong Kong Secondary School Students in 2015. 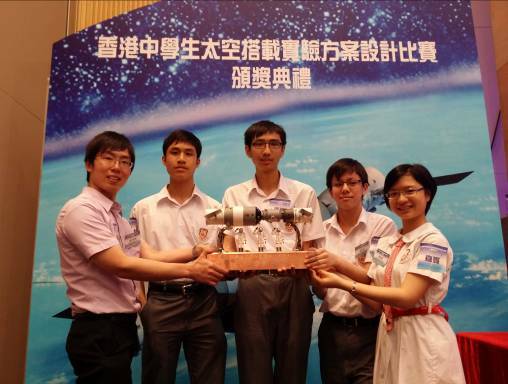 Congratulations to PLKLFC students whose project, Oscillation of a Double Pendulum Under Weightlessness Condition, is carried onboard Tiangong-2 and going to be demonstrated.